Rodeo is an on-demand tech company that works with advertisers to spread brand awareness through different forms of advertisement rather than traditional avenues. 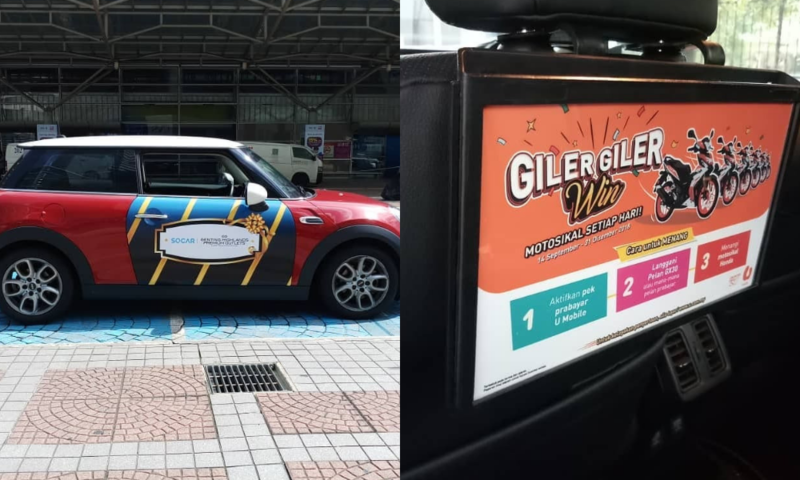 The startup specialises in Transit Media (Out-Of-Home Media) using various vehicles such as cars, lorries, motorcycles and taxis to provide advertising space. To an average person, vehicles are mostly perceived as a necessary liability—after paying thousands of dollars for one, you then have to spend thousands more over the years for petrol and maintaining it. Technically, a car is considered an asset; however it’s a depreciating one, as most cars lose value the moment you drive them and continue to lose value as time goes on. A Malaysian startup called Rodeo is hoping to break this mindset or stereotype. They want to change the perception so users know vehicles are indeed assets through monetising with advertisements. Rodeo was established in November 2016 with the mission of incorporating incorporating tech into traditional media to get real-time data and insights for every campaign. “We are moving into a digital era now, everything is leaning towards technology and slowly traditional media is fading from the radar,” explained Valens, the CEO and founder of Rodeo. Rodeo connects both traditional and digital mediums to create hybrid offerings using online-to-offline (O2O). Valens Subramaniam calls himself the “Sheriff” of Rodeo and is 45 this year. He is an architecture graduate who loves to innovate and come up with ideas and he currently has two patented products. He mentioned that according to the Global Industry Analysts, the global market for outdoor advertising is targeted to reach USD45 billion by 2020, with Asia Pacific region becoming the largest and fastest growing market. This represents a huge pot of gold for Rodeo and they’re looking to tap into this market. Other than the ads on cars, Rodeo also does other forms of advertising such as in-car advertising in the form of Digital Entertainment as well as In-Car Sampling and Point of Sales. Rodeo’s services are the perfect fit for e-hailing drivers who ferry customers on a daily basis and typically work a minimum of 8 to 10 hours a day. However, any driver can join Rodeo as long as you have a vehicle. As a “Rodeo Rider”, you will be given a certain KPI to achieve, the KPI is measured based on mileage and it varies for every campaign. Priority will be given to drivers who has a higher mileage as that will equate to more ad impressions. According to their website, the earning defers for every campaign as it depends on the size and type of advert which applies on your car. It’s a set amount paid per month and it depends on the mileage as every campaign has a KPI to achieve. Drivers just need to ensure to switch ‘ON’ in the Rodeo app so that their mileage is measured every time. “As for statistics purposes, each car can contribute 4,000 to 5,000 impressions per day when they drive 200 to 300 km per day,” he added. To Choose Transit Or Traditional Media? Valens mentioned that it’s not really about which media is better but more of that both media complements each other. Transit media cannot be taken out of the equation as everyone needs to commute from Point A to Point B and the common way is via land transportation. He added that generally we spend 90 to 100 minutes every day on the road. 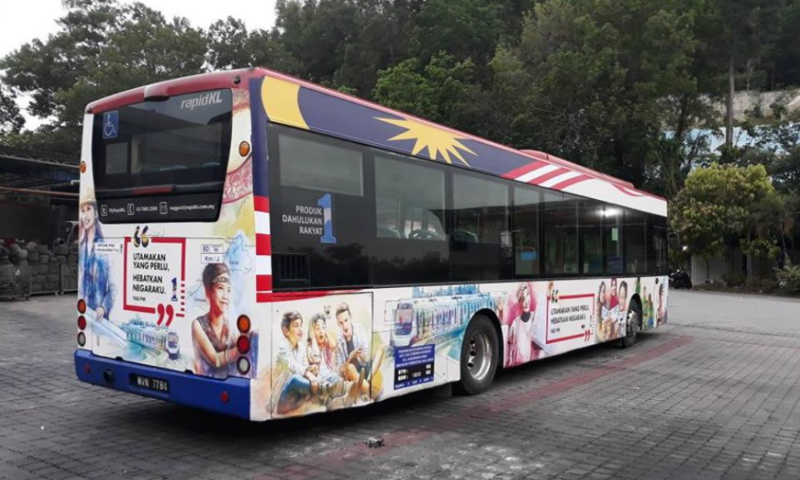 “The best part is that when motorists are in the vehicle, they will be on a non-productive mode away from their mobile phones and computer in front of them, which would present the perfect time to push the brands or ads,” he explained. Furthermore, motorists can’t turn on or off the ad unlike in digital advertisements where usually we look for the “X” to close any ads. Advertisers also have a wide range of vehicles from cars, lorries, motorcycles and even taxis to choose from. Furthermore, the Rodeo team emphasises on transparency by providing a dashboard which allows clients to access and monitor their campaigns remotely. 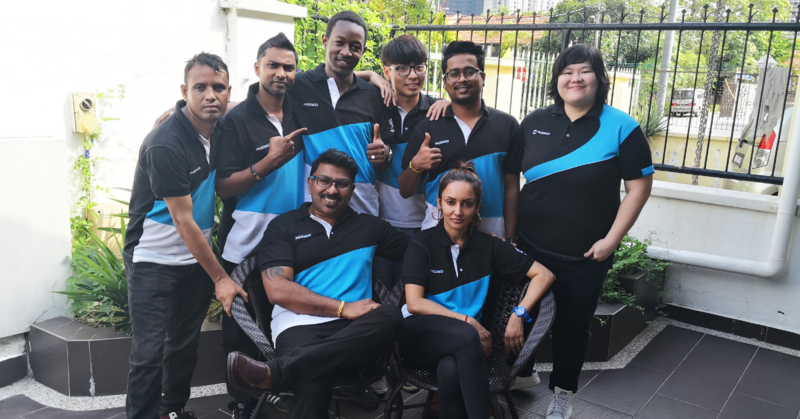 Valens is confident that Rodeo will become the household name for the media space and they’re well on their way to that goal as their 2018 revenue exceeded RM2.6 million and they only spent RM10,000 as capital when they started. 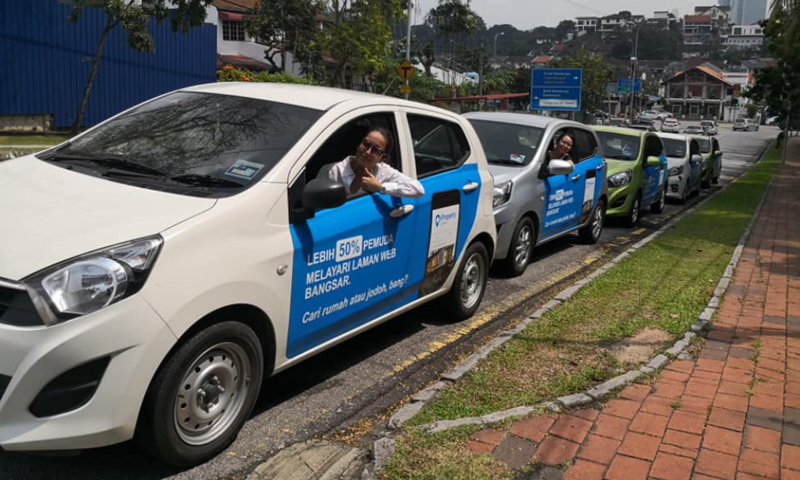 Although Rodeo has serviced clients from HappyFresh, Fave, PropertyGuru and plenty more, they still face the occasional questions from advertisers such as how many people have seen the ads or rather impressions on the road. Valens explained that currently there isn’t a perfect solution that has the correct method to identify impressions when it comes to transit media. “But soon we will unveil a tech which enables advertisers to gauge the potential number of viewers that would have seen the ads on Rodeo vehicles in real-time using our proprietary tech and IoT as a base,” explained Valens. For Valens, his biggest accomplishment is that Rodeo is able to be self-sustaining and has a workable business model by incorporating transit media. With big ambitions, Valens wants to bring Rodeo to the international stage. “We are in midst of launching Rodeo in Indonesia, Canada, Vietnam and South Africa and exploring the European market and conducting market research,” said Valens. If you would like to know more about Rodeo, you can check out their website here and social media here.